DDR-2 SDRAM supersedes DDR-1 SDRAM specifications. Like DDR-1 SDRAM, it also transfers data on both rising and falling edges of bus clock signal, but also, it runs the internal clock at half the speed of the data bus. Thus, DDR2 memory operates almost at twice the external data bus clock rate as DDR may provide twice the bandwidth with the same latency. DDR2 SDRAM modules are internally configured 4 or 8-bank DDR2 SDRAM devices. DDR2 SDRAM modules use DDR architecture to achieve high-speed operation. DDR2 architecture is basically 4n-prefetch architecture. DDR2 is designed to transfer two data words per clock cycle at the I/O pins. It consumes less power which is 1.8v as compared to its predecessor DDR-1 SDRAM which requires 2.5v. 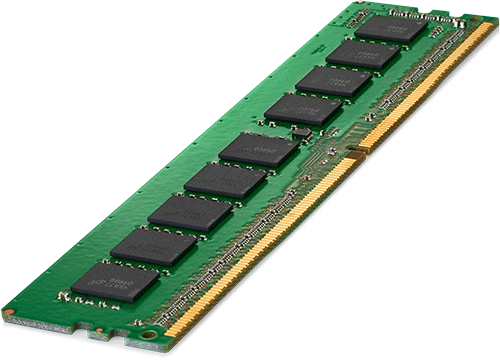 Long-DIMM (or Desktop RAM) comprises of 240 connector pins, whereas SO-DIMM (Laptop RAM) comprises of 200 connector pins. It typically has data transfer rates of PC2-3200 (400MT/s), PC2-4200 (5300MT/s), PC2-5300 (667MT/s), PC2-6400 (800MT/s), or PC2-8500 (1066MT/s). PC2-8500 (1066MT/s) is usually possible with certain Processors and/or over-clocking, which should be supported by Processor, Motherboard & RAM at tandem.